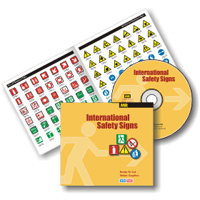 Symbols and Graphics that are Ideal for the design and production of signs. Each image is constructed in highest quality with single elements, no crossing of elements at all. The graphics can be scaled, modified, changed and combined in all major graphic and sign making programs.